Does extra protein boost muscle gain or trim fat? Most of us seem to believe this but research shows that participants gained no more muscle given extra protein. The best way is weight and resistance training. So why do so many recreational and professional athletes use protein supplements? It is a multi-billion dollar industry. Advertising has heavily promoted the necessity for supplemental protein. That said, protein is very important. If we don’t consume enough, we lose muscle mass. Protein repairs cells and promote healthy growth and development. The recommended daily intake is 0.36 grams per every pound we weigh. We need more research to prove that these numbers are conclusive but note that we far exceed our necessary intake. The average woman gets 35% more protein and the average man gets 65% more. My philosophy for Happy Food always holds the same. Eat whole foods and mostly home cooked. Get rid of the cumbersome food fads and debates and just enjoy eating real food for the complete nutritional package. We are throwing hundreds of dollars down the drain with supplements. Many are short on the 9 essential amino acids of protein. Plus, it’s more calories and more synthetic ingredients that our body does not recognize. The only benefit of protein powder is convenience. I challenge you to not downgrade your life down to convenient or cheap or quick. You are worth quality, time, and enjoyment. You are worth so much more than convenient. Let’s go back to eating food our body enjoys and can process versus ones that are identified as toxins, and therefore stored in fat to protect vital organs. The body’s solution to all these toxins is to dilute it with more fat. Now isn’t that counterproductive to our goals? If you need help understanding nutrition and all the mixed messages out there, give us a call. We will address your stress level, eating habits, exercise, cravings, emotional eating, and overall health and happiness. 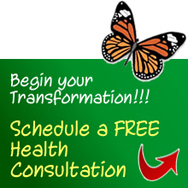 Start with a free health consultation at www.HappyFoodHealth.com or (619) 876-2655. See if this is the right match for you. I do things very differently to make health a natural lifestyle and this is not for everyone. Check out Yelp for other people’s opinion of Happy Food.